From shawls to scarves, bonnets to sports scarves, we at sefamerve make sure that you get beautiful hijabs with gorgeous designs and fresh colors for any activity or occassion. 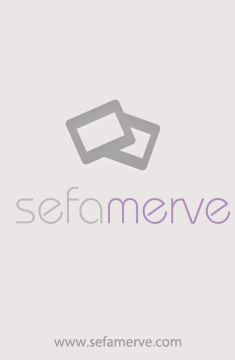 You will find all kinds of Hijab for sale at Sefamerve with the latest designs from all around the world. We provide best quality products for our customers to help them achieve the look they want. Be it any occassion or weather, we have the perfect hijabs for you to complete your fashion islamic dressing. The designs and patterns include different cultures and traditions from all over the world. These products include shawls, scarves, bonnets, sports scarves and many more. All these categories allow you to experiment with your Islamic dressing and help you get the best out of your modest muslim attire. Sefamerve is providing fashion and modestly side by side through a grand range of women clothing products according to the muslim dress code. There are 14 categories, along with subcategories, which have a variety of stylish Muslim clothing items that include hijabs, islamic clothing, outerwear, sports and sea costumes, plus size clothing, shoes, bags, accessories, home and lifestyle and baby and kids clothing. You will find all that you need at this central hub of Islamic modest fashion clothing. Through sefamerve, you will never miss out on the latest trends of fashion yet also following Muslim dressing. We have made following islamic dress code easier than ever for Muslim women. Our collection of islamic clothing is very modest yet stylish and fashionable at the same time. The variety of products is unbelievable along with perfect patterns and fresh colors. Each category is rich in its own variations of products that fit perfectly anyone who wishes to wear them. Now look you best by being stylish yet following the modestly of Islamic dressing by using out wide range of clothing items.